226 Shimmer & Shine Too! 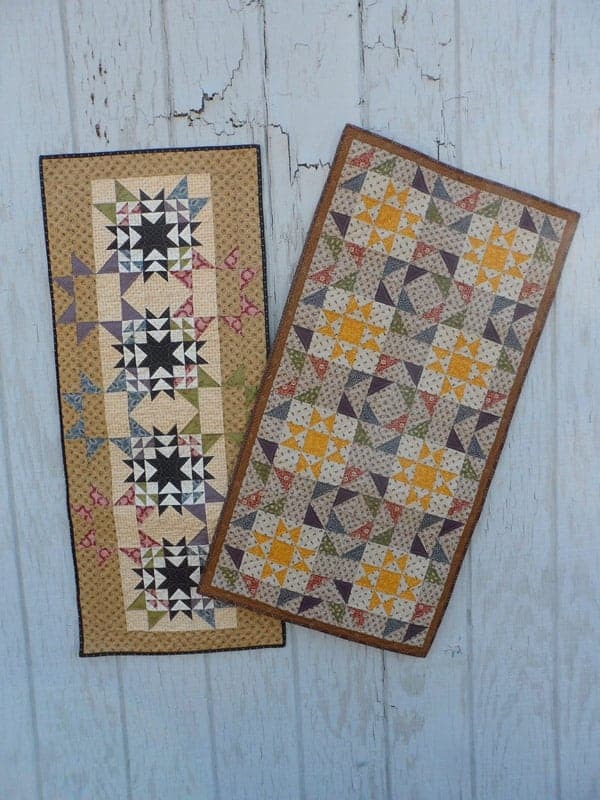 Two more shimmering and shining table runners that are fun and scrappy. Quick projects from when you want a table runner in a jiffy! If you like stars, you’ll like these. Shooting Star is 18 x 44″ and Four Winds Star is 22 x 42″.